Nick Corston of STEAM Co came to visit Queen's Park on Thursday. As part of world book day, Reception to Year 6 got to take part in an assembly based on the book and film 'Rocket Boys' a journey of aspiration, invention and family. Following the assembly we all went outside to watch an official Rocket Launch from our playground. The children absolutely loved it. 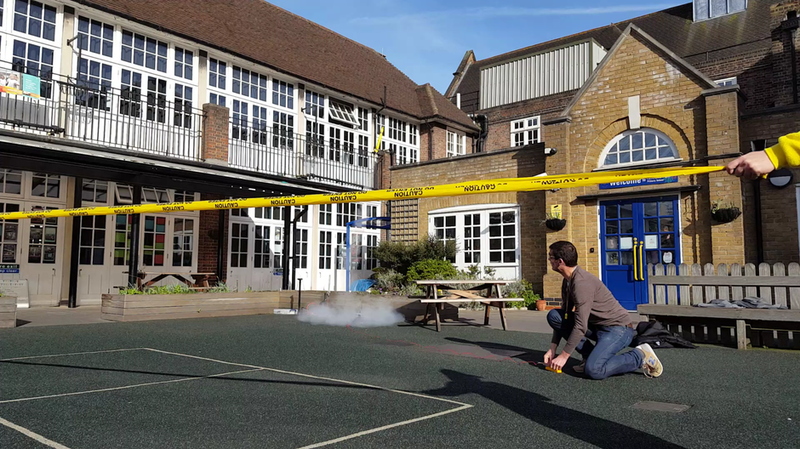 Year 4 were lucky enough to then make their own rockets and with the help of Nick try launching them. Thank you Nick for a great day!